In a charming seaside village outside of Tokyo, you'll find Japan's largest Chinatown. These narrow streets contain within them some of the most colourful and lively storefronts (and people) to be found all around Yokohama. Throughout the year, Yokohama's Chinatown is the host of many major celebrations including their biggest festival during Chinese New Year. Yokohama's port was built and opened to foreign trade in 1858. With it came many Chinese traders. Eventually, the traders decided to move here with their families and settled in Yokohama, in the area we now call Chinatown. At the time, immigrants were only permitted to live in a designated area, so Chinatown became something that was built out of necessity. In this district, they built Chinese schools, community centres and other important buildings that helped encapsulate their Chinese culture. After so many Chinese settled here, ferry services eventually started up which ran directly from Yokohama to Shanghai and Hong Kong. 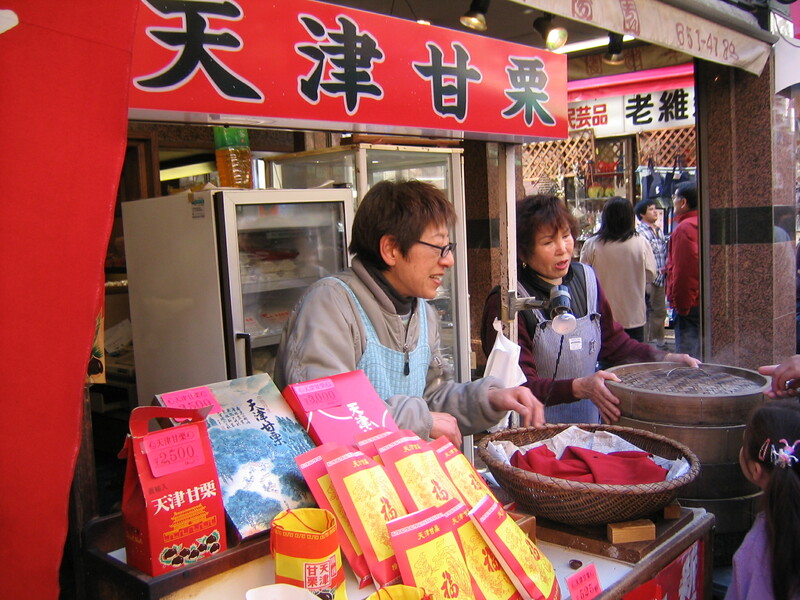 Even today, Yokohama's Chinatown is an important site to see for tourists and locals alike. Today, Japan has a relatively low immigration rate and therefore doesn't have as many ethnic neighbourhoods as other countries. So even for the Japanese, visiting Chinatown can be a way of escaping without ever leaving the city. When you approach the entrance to Chinatown, you'll be struck by one of four colourful gates which welcome you in. The four gates are symbolics as they represent the four directions in Feng Shui, each one of which has their guardian god. The gates each are decorated with the name of the gods written in gold and surrounded by opulent, traditional Chinese designs. Inside these gates, there are over 600 shops in only a 2500 square meter area. Although less and less Chinese people now solely live in this area (they have since been allowed to move outside the district) they have made sure that all their business remain together to form this unique neighbourhood. Although the colourful streets and bright signs are enough to draw people down here, what shines in Chinatown is the FOOD! 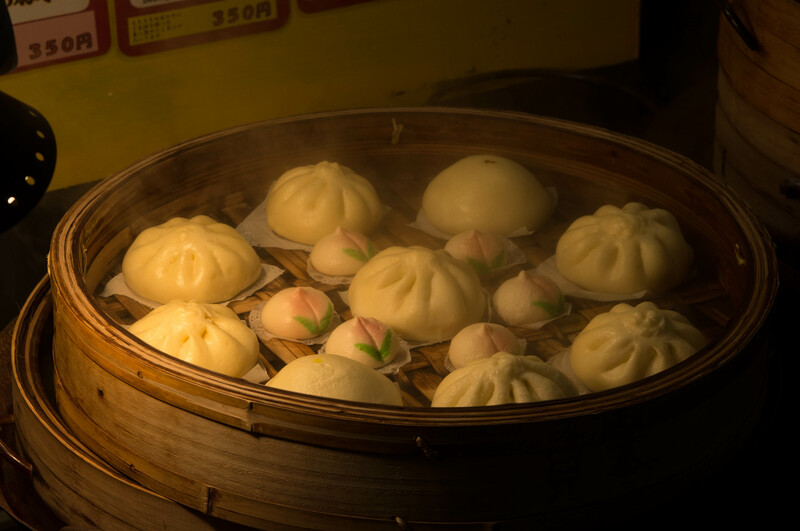 You can find panda shaped steamed buns, Peking duck, sesame desserts filled with red bean, spicy Sichuan, dumpling of all shapes and flavours and cheap and delicious street food. One traditional treat to give a try are the roasted chestnuts sold by vendors all over Chinatown. They are the perfect thing to eat on a cold rainy day like we had while visiting. Warm and nutty, they are flavours with only a hint of sea salt but are more flavourful than you can imagine. If you're looking to sit down and spend a few hours, there are lots of options for you. 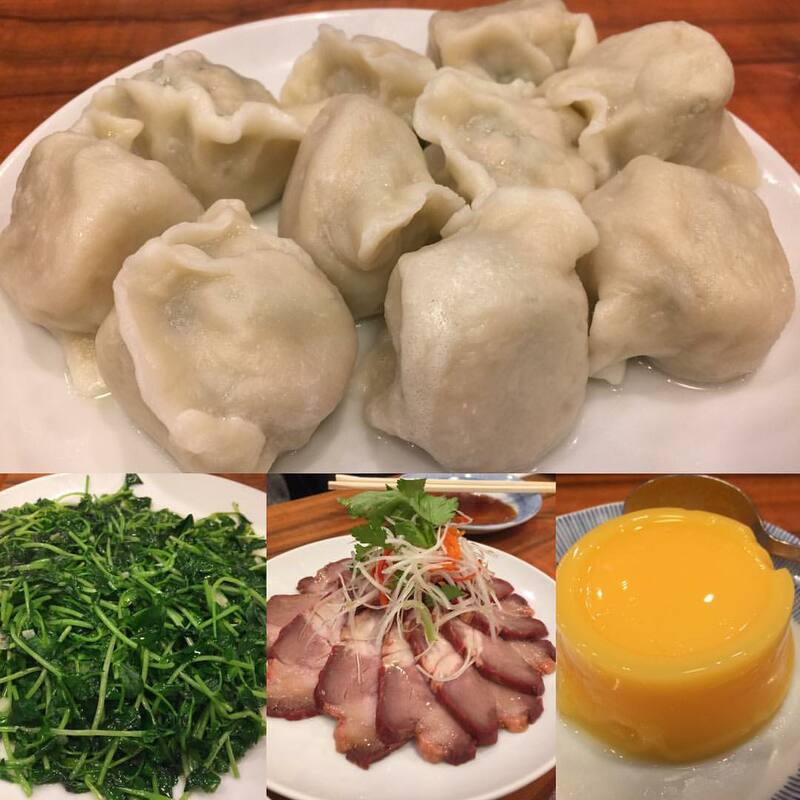 Beijing Cuisine is an ancient court type of cuisine. Think of a King asking his cook to make him a banquet of food consisting of all the riches from his land. The food is plentiful and heavy. Shanghai Cuisine, by contrast, is less about the land, and more about the sea. 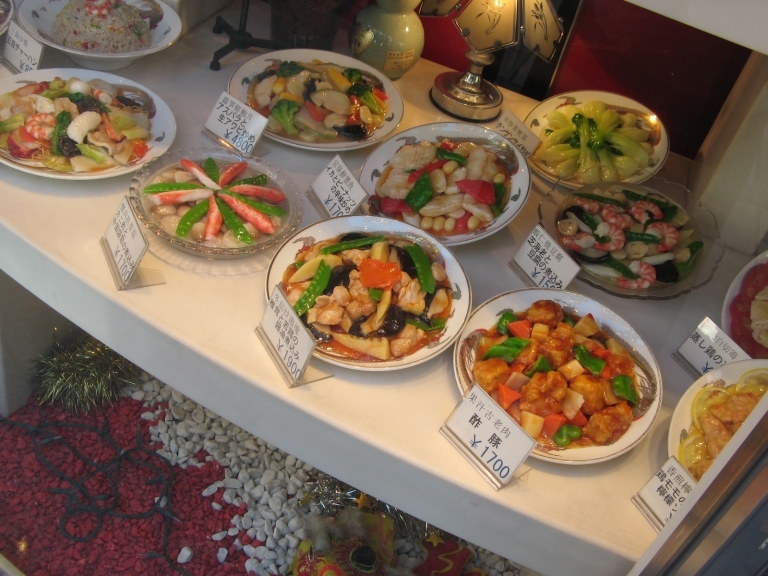 Yokohama's proximity to the sea lends itself towards fresh seafood so trying it out here would always be a good idea. The dishes tend to be thick and sweet with fermented seasonings. 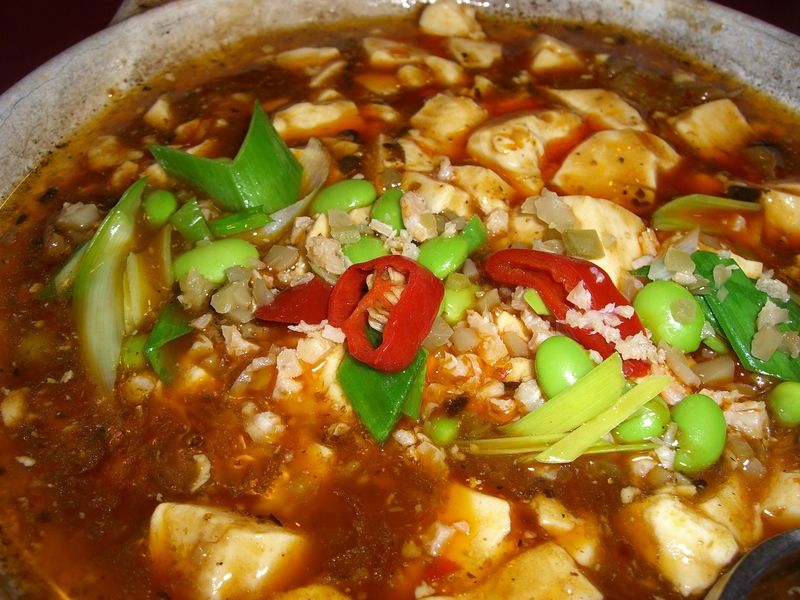 Sichuan Cuisine is synonymous with SPICY! 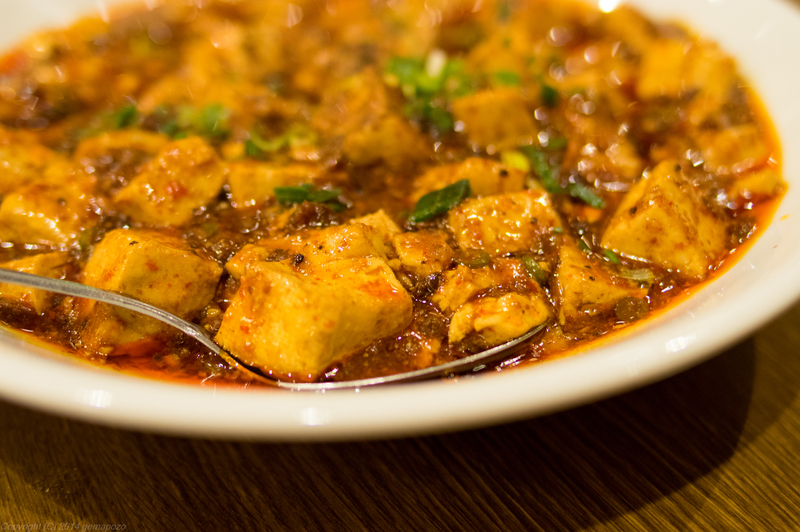 Sichuan is a city high up in the mountains, and therefore the dishes from there contain chilli sauce and hot peppers. Along the streets, you'll find dozens of stores selling all sorts of Chinese knick-knacks. These are akin to the traditional souvenir shops you'll see in Chinatowns all over the world but here, be sure to check out the "omiyage". Omiyage is a gift or souvenir you bring home to your friends, coworkers, or family. They are usually edible, and you can find all different individually wrapped snacks and sweets in these stores. They are beautifully packaged to look very expensive without actually costing too much. As you walk along, take some time to explore the Chinese grocery stores selling Chinese vegetables, fruit, herbs and spices. If you feel ill and need a checkup, stop into one of the many medicine shops where (if you can manage to speak with the owner) you might find some fascinating "cures". If you're looking for some guidance, check out one of the Chinese fortune tellers to see if they can read your future. If you're looking for a souvenir that isn't just a cheap paper lantern (although some of these are fairly decent) the Chinese tea shops and kitchen goods stores have some exciting options. Chinese tea is known the world over for being some of the best, and at one of the kitchen stores, you can find some hand-made ceramics to serve the tea. One thing to make sure you see while in Chinatown is the Kanteibyo Temple. The temple was originally built in 1862 but destroyed multiple times over the years due to fire and war. The current temple was rebuilt in 2000. 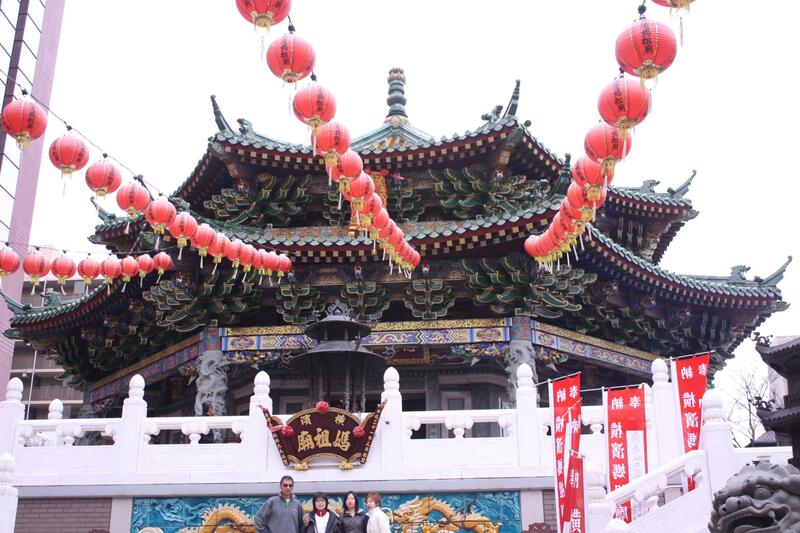 The shrine was built in honour of "Kanwu”, a famous general from a well-known Chinese historical novel, "The Romance of Three Kingdoms.” This shrine was and still is, a place of worship for the Chinese people of Yokohama as an anchor that keeps their hearts and souls close to home. 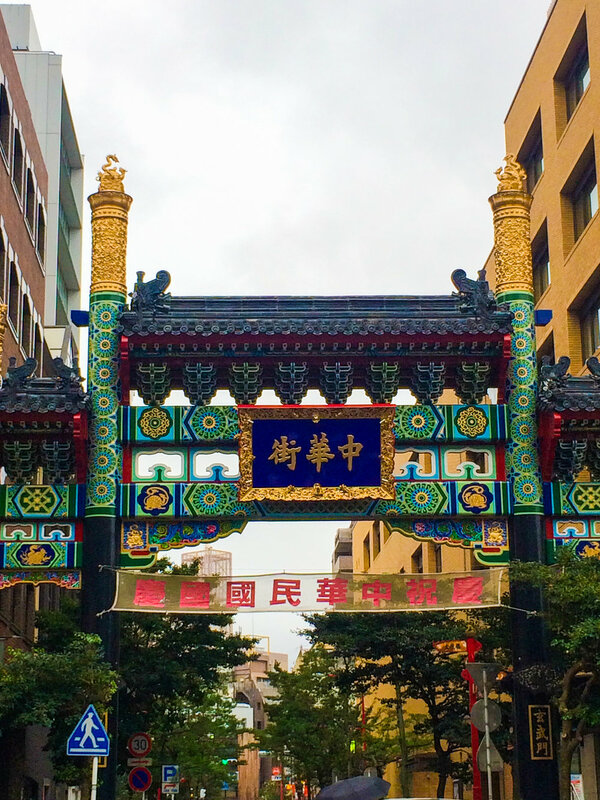 Chinatown is one of the biggest draws for visitors to Yokohama, and no matter the weather (we should know, it was pouring rain while we were there) it is a must see place to visit.